Though a handful of stills found their way online ahead of schedule, revealing the level of work going into the construction of Asgard Down Under, production on Thor: Ragnarok is now officially underway in Queensland, Australia. Word comes by way of the Gold Coast Bulletin (via CBM), confirming that Taika Waititi has now got the cameras rolling on set. Mark Ruffalo and Chris Hemsworth feature in the first set photos, while Ant-Man director Peyton Reed weighed in with some advice via Twitter. Spoilers: It involves explosions. 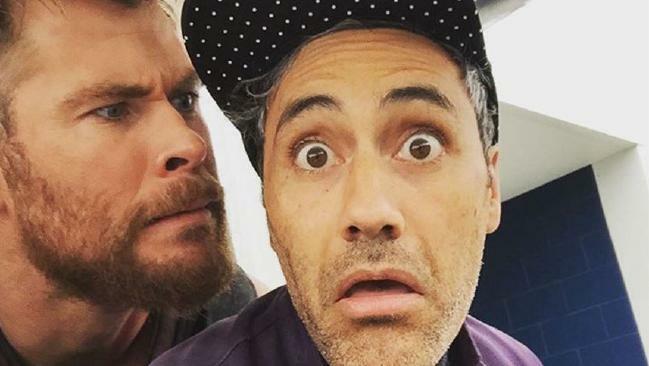 Slated for a release in November of next year, Thor: Ragnarok is still a ways away, and considering that Marvel’s God of Thunder was placed firmly on the sidelines during Captain America: Civil War – outside of a passing comment about wayward WMDs, Thor didn’t feature at all – Waititi’s threequel will mark Thor’s first screen appearance since Age of Ultron. Meanwhile, Ruffalo’s involvement opens up the possibility for Waititi – who is coming hot off Hunt for the Wilderpeople – to draw inspiration from Marvel’s beloved Planet Hulk arc. Exactly how that will pan out is up for question, but we do know that Cate Blanchett, Tessa Thompson, Jeff Goldblum, Anthony Hopkins and Karl Urban are among the core cast on board. Chris Hemsworth reprises his role as Marvel’s God of Thunder when Thor: Ragnarok descends into theaters on November 3, 2017.